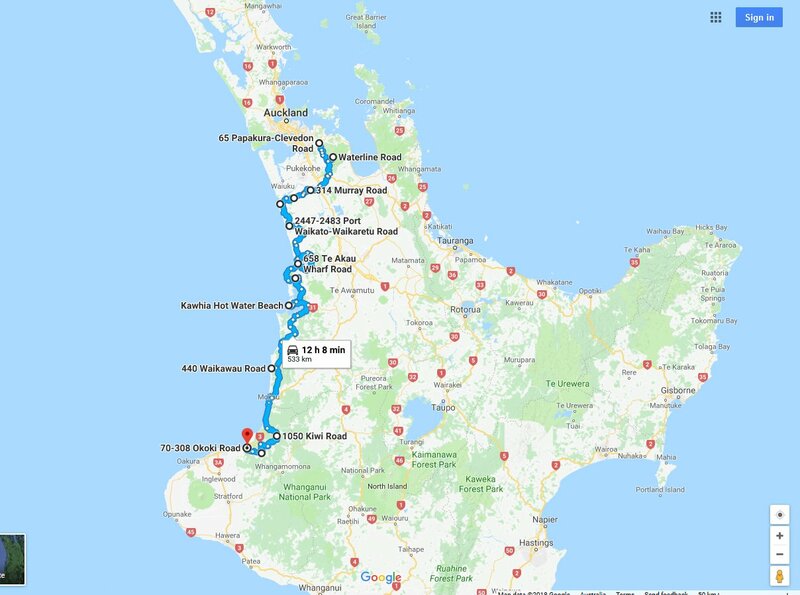 With an approximately 1100km stretch in total, this segment is broken into 2 parts of around 550-600km each, suggested travel-time is about 2 days per part, with maybe some extra time spent around the New Plymouth, Mt. Taranaki and Stratford areas. There are good supplies and all services in New Plymouth. 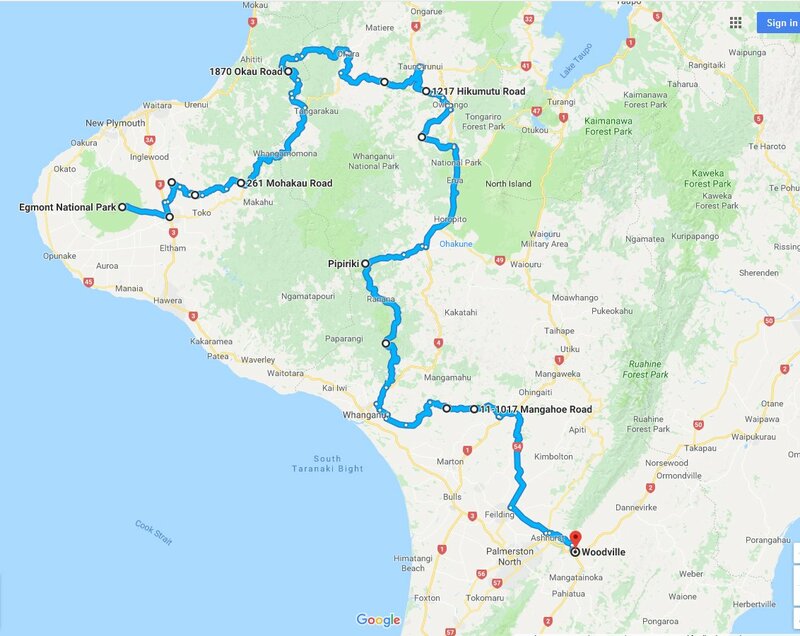 All western routes will include the general New Plymouth area as a break-point, so a combination of faster and slower routes.... more gravel and backroads or more asphalt....can be chosen and linked. 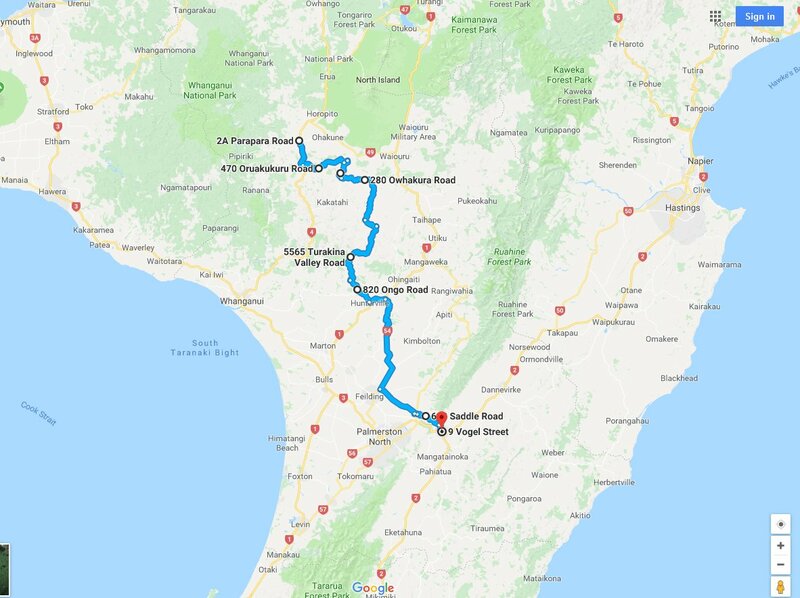 Using more sealed roads for some faster progress, it's still 450km for the first part, including ~100km of gravel and a bucketload of magic vistas. Adding the second leg from Stratford to Woodville is another ~400km day, incl. some worthwhile extras, but nearly exclusively on sealed roads. 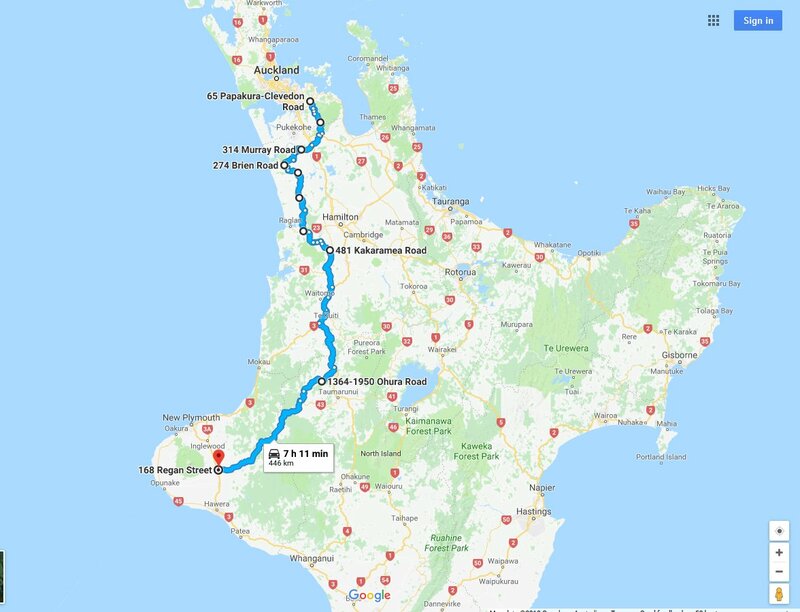 This could possibly be a 2-day route in total... with the Crossover of the 2 listed routes at Stratford/ New Plymouth to allow for a MIX 'N MATCH of routing-chunks. 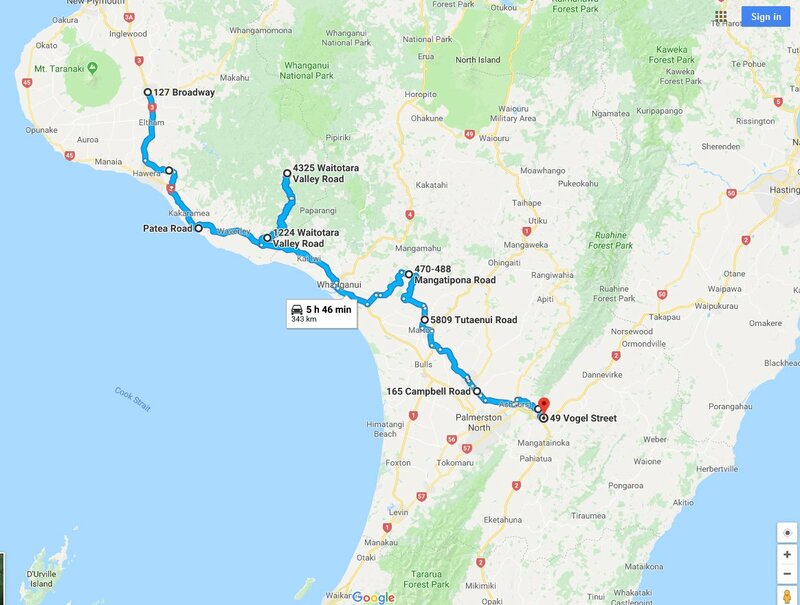 To shorten either option A or B (see above), here's an alternative for a more direct, central route down -the-middle of the North Island.